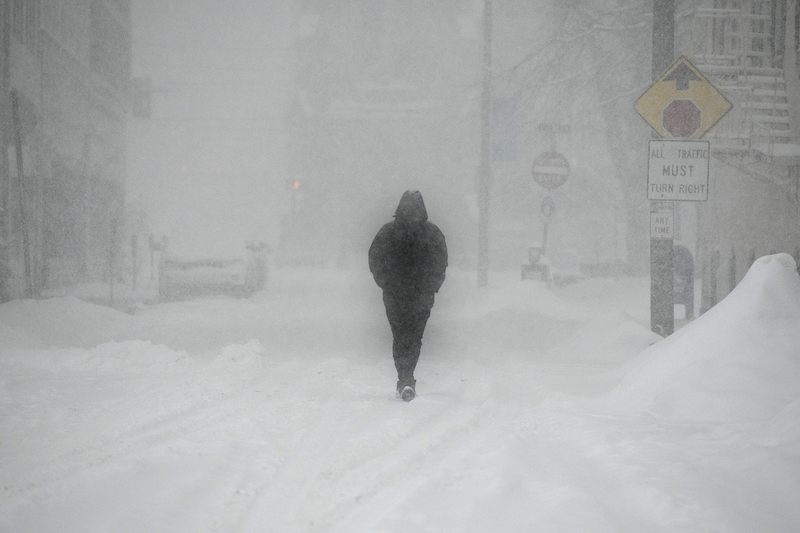 WASHINGTON (CN) – Threatening to dump several inches of snow, as well as ice and sleet, a winter storm shuttered the federal government and courts around the East Coast as it roared into the area Wednesday morning. 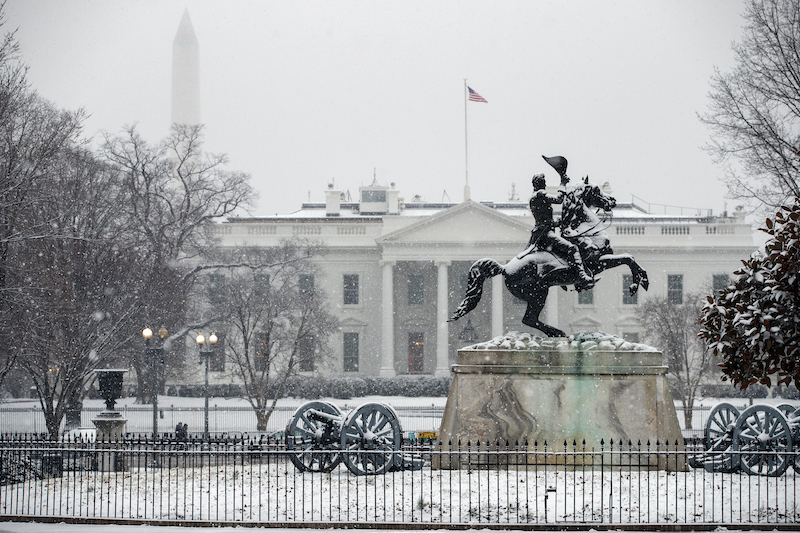 With the storm predicted to drop between 3 and 6 inches of snow in the immediate Washington area, plus a quarter inch of ice, the Office of Personnel Management made the call to close federal offices near the city on Tuesday night. The U.S. District Court for the District of Columbia and the D.C. Circuit closed as well, though the D.C. Circuit still heard oral arguments that had been scheduled for 9:30 this morning. The Federal Circuit was also among the courts that closed for the storm. 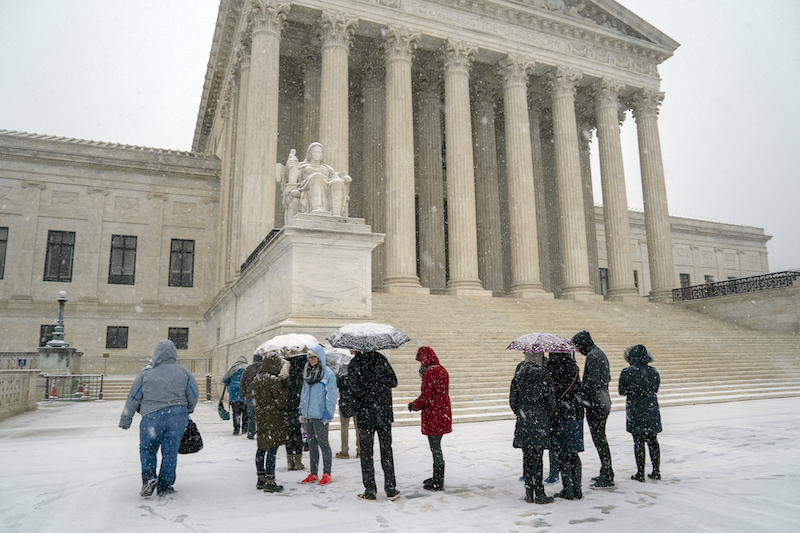 The Supreme Court, which rarely cancels arguments, also remained open Wednesday to hear a bankruptcy case. The snow did cause a slight delay, however, in the Washington case of former Trump campaign chair Paul Manafort. Friday had been the deadline for Manafort to submit a sentencing memorandum, but a federal judge opted to push that date back after his attorneys asserted that that the snow would prevent them from reviewing the final draft with Manafort before turning it in. 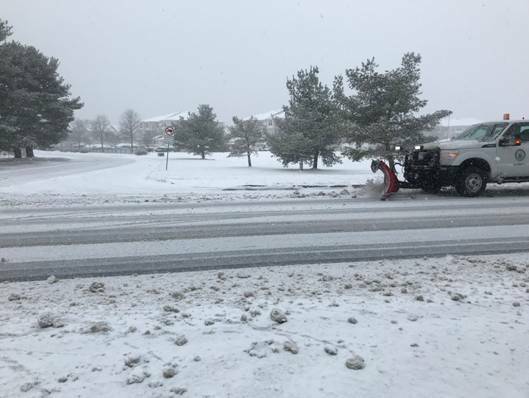 More than a dozen crashes were reported through Wednesday morning, and the Maryland State police put in place a snow-emergency plan requiring all cars to have snow tires or chains. Up I-95, the storm caused closures in Philadelphia, even before the city started seeing major accumulation. The U.S. Eastern District Court in Philadelphia announced the closure on its website Tuesday night after weather reports predicted the area would experience heavy snowfall the next day from 9 a.m. until midnight. 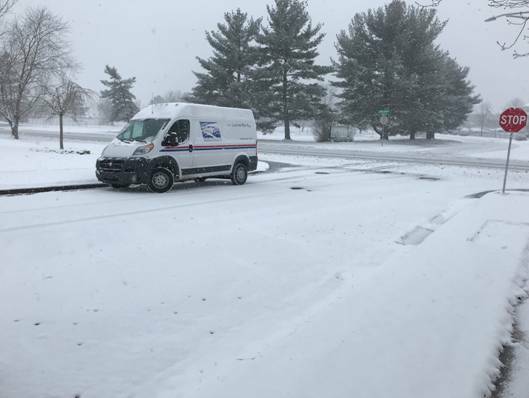 The snow began to fall shortly after 9:30 a.m. Wednesday, accumulating just about half an inch on the ground over the next three hours. New Jersey’s governor declared a state of emergency meanwhile with the state expecting up to 4 inches of snow before it turns to rain this evening. While Amtrak announced modifications to its Keystone service between New York and Harrisburg, Pennsylvania, more than 2,000 flights were canceled nationwide with another 3,400 delayed. Washington’s Reagan National Airport was among the hardest hit, with 37 percent of departures and 33 percent of arrivals canceled Wednesday. 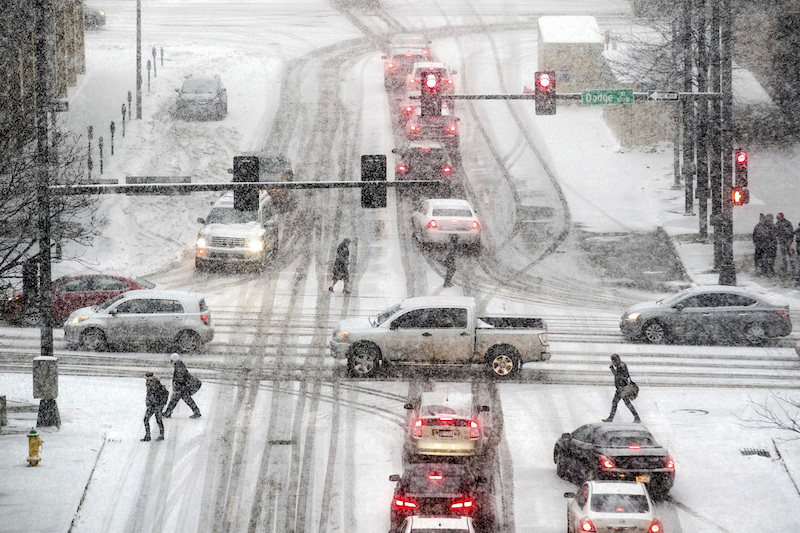 Farther west, Minneapolis and St. Paul schools closed their doors Wednesday along with several other districts in Minnesota and Wisconsin. 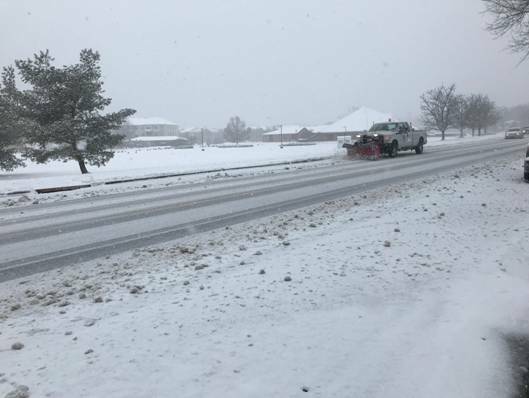 Some schools, businesses and government offices in Kansas opted to start, but multiple school districts closed in Missouri as snow blanketed roads across the northern half of the state. In the Deep South, heavy rains spurred flood watches and warnings in the northern parts of Alabama, Mississippi and Georgia, as well as nearly all of Tennessee. Forecasters predict the bad weather will continue through Wednesday night and into the weekend in some areas,. Out West, the National Weather Service warned that a “potent and cold” low pressure system is set to drop up to 3 inches of snow outside Las Vegas this evening and continuing into Friday. Northern Arizona will likewise see heavy snow while rains drench the deserts of the central part of the states.